One morning, a grandmother was surprised to find that her 7-year-old grandson had made her coffee! Smiling, she choked down the worst cup of her life. When she finished, she found three little green Army men at the bottom. Puzzled, she asked, “Honey, what are these Army men doing in my coffee?” Her grandson answered, “Like it says on TV, Grandma. ‘The best part of waking up is soldiers in your cup. 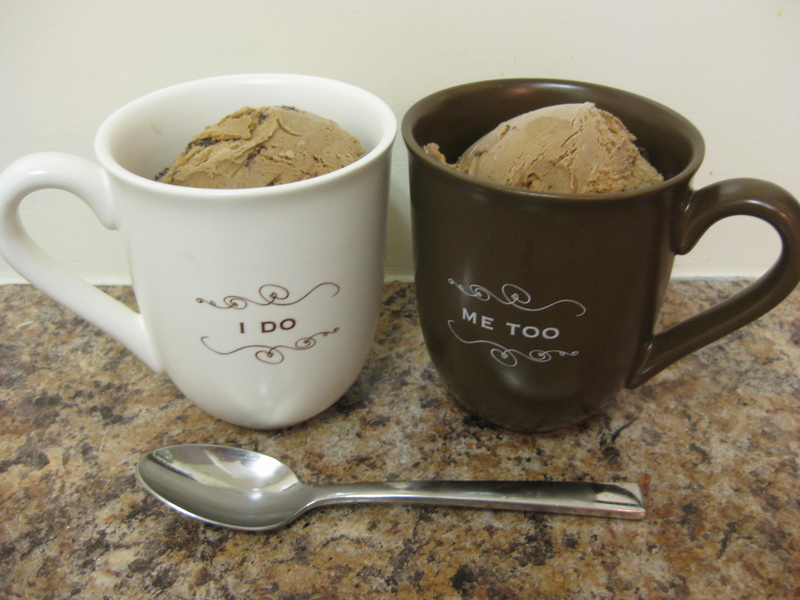 Two cups of cappuccino chip ice cream. One for me. One for The Husband. In my older years, I’ve started re-watching the Cosby show. I have to say, that show is outrageously funny. The other night I was watching it on my iphone in bed, when I began belly laughing. I woke up The Husband. He was pissed. I felt badly, but honestly, Bill Cosby is too funny for words. Now that’s a good wholesome show worth re-watching! Onto the ice cream. I promise this post is about more than strict TV schedules and funny 80’s sitcoms. Fast forward 20 years and instead of watching innocent, harmless TV, I sit at a desk all day and drink coffee. Well, the sitting at a desk part is true, the all day drinking coffee is a slight exaggeration. You see, I love coffee. Unlike most people who drink it only for caffeine, I actually drink it because I like the taste. In fact, I can’t actually drink caffeine because it makes me so jittery and insane. I’m already Type A enough, I don’t need a dose of caffeine to keep me going! So, instead, I drink decaf coffee and savor the flavor. If you recall, I can’t really have all that much dairy, and so while I love me a good cappuccino the milk doesn’t love me back, and by the end of the day, I’m paying for it. But, like any stubborn food lover, I ignore my belly aches and drink the coffee anyway. So, during a coffee-less morning last week, I began daydreaming about cappuccinos when boom – this flavor came to me. Cappuccino Chip. It’s the perfect mixture of coffee, cinnamon and cream. The chips add a great extra layer of texture and because they are infused with coffee and cinnamon, they match the ice cream’s flavor profile perfectly. 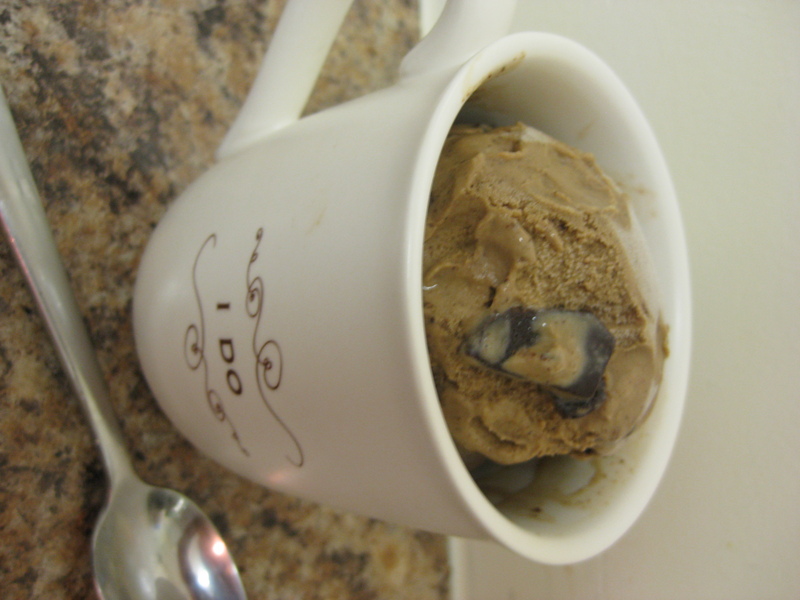 In short, this is a great ice cream and it’s even more delicious when served in a coffee mug. The Husband and I loved it. Dig in! The chips are a 365scoops original! Heat the milk and half-and-half in a large pot on the stove-top. 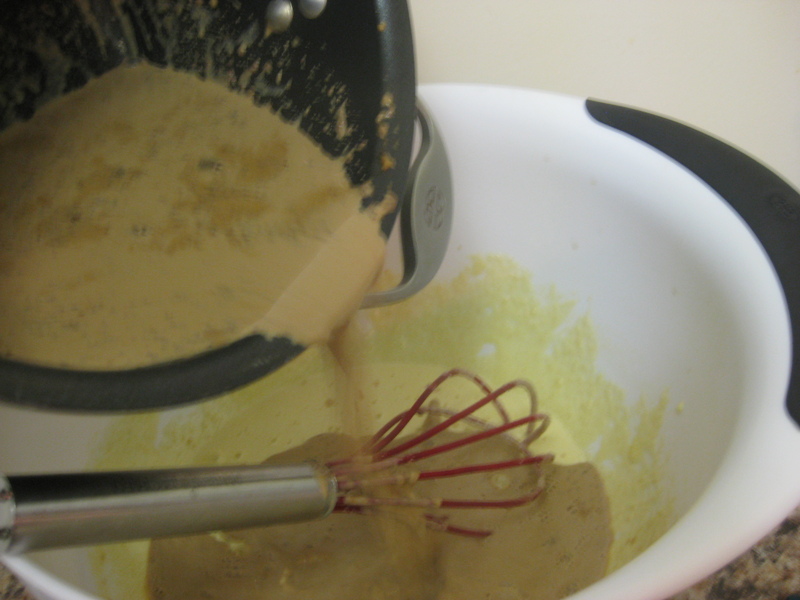 While the mixture is warming, whisk the three egg yolks together, slowly adding the sugar until well-blended. 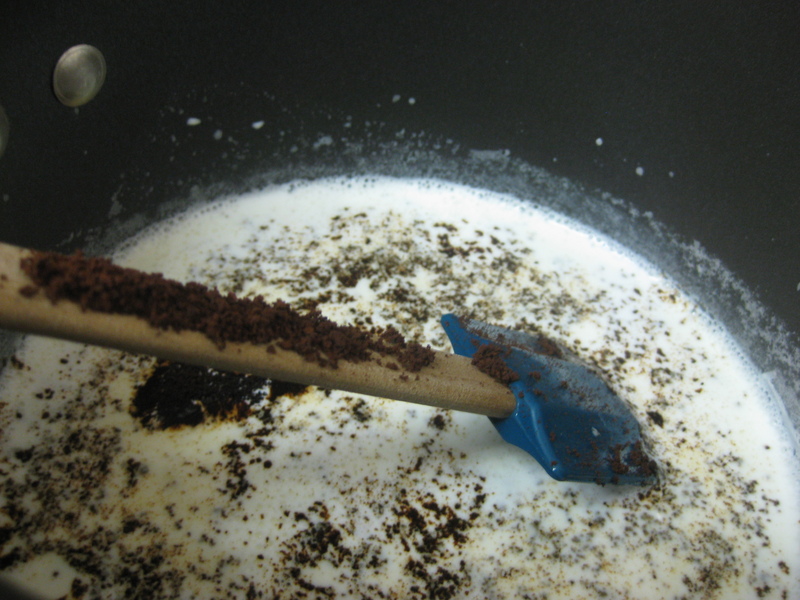 Once bubbles start to form around the edges of the milk, stir in the instant coffee and cinnamon. 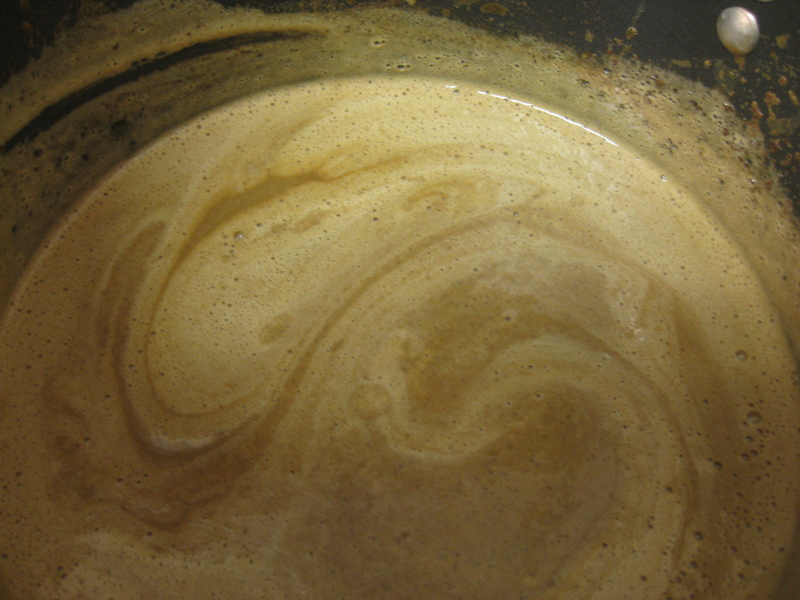 Remove from heat and slowly pour into the egg mixture. Add a little milk, whisk, and repeat. Congratulations, you’ve tempered the eggs! Now pour the liquid back into the pot and heat until it reaches 170 degrees F (so that the eggs are fully cooked). Remove from heat and cool to room temperature before chilling completely in the refrigerator for at least 2 hours or overnight. While the mixture is cooling, make the chocolate chips. 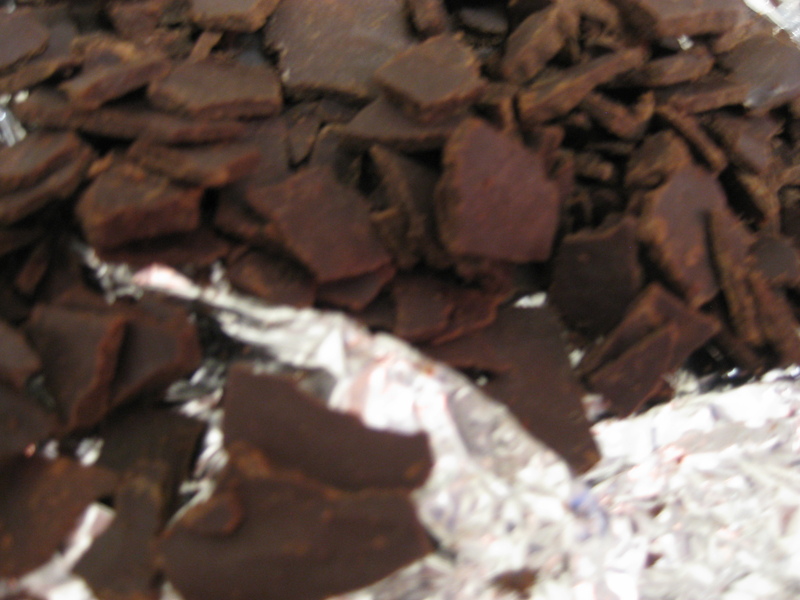 Pour the chocolate chips into a microwave-safe bowl, add the cinnamon and coffee. Melt in the microwave on high for 15 seconds, stir, and repeat until the chips are fully mixed. This should take no more than 30 -45 seconds. Alternatively you can heat the chocolate in a double broiler but since I don’t have one, the microwave worked just fine. Be careful not to burn or overcook the chocolate! Behold, the power of cappuccino chip ice cream! Put a piece of wax paper on a plate or baking sheet. 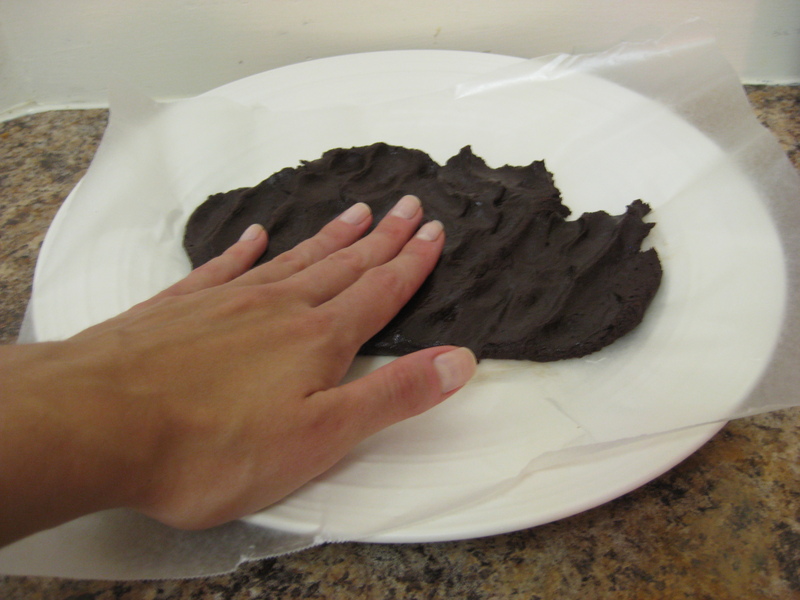 Scoop the chocolate onto the wax paper, and working quickly, flatten out the chocolate. You can either use your hands (as I did) or you can cover the chocolate with another piece of wax paper and use a rolling pin to methodically and evenly roll out the chocolate. Put the chocolate into the refrigerator to chill for at least an hour. Once the ice cream mixture is completely chilled, pour into the bowl of your ice cream maker and churn according to the manufacturer’s instructions. 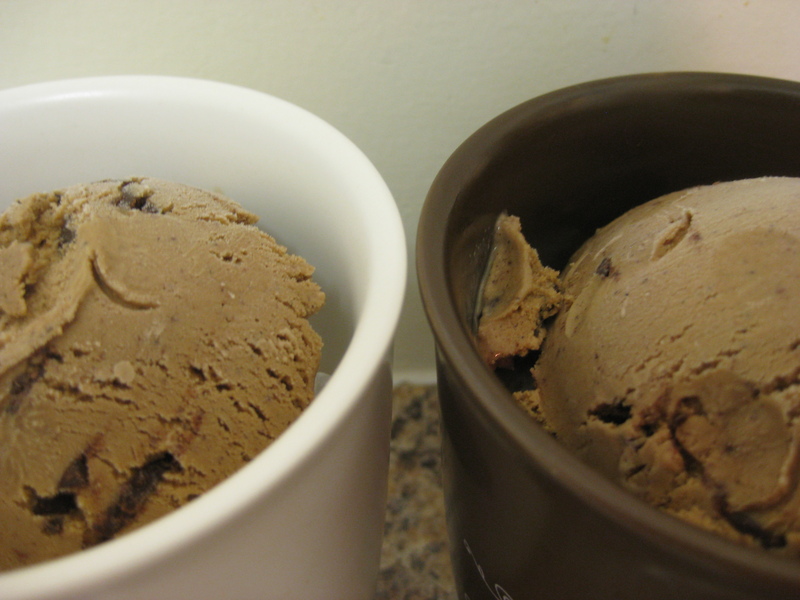 While the ice cream is churning, remove the chocolate from the refrigerator and break into small pieces. Approximately five minutes before the ice cream is done churning (which for me was after 15 minutes) add in the chocolate chips. Let the mixture blend thoroughly before transferring to a freezer-safe container. Freeze for approximately 2 hours before enjoying! 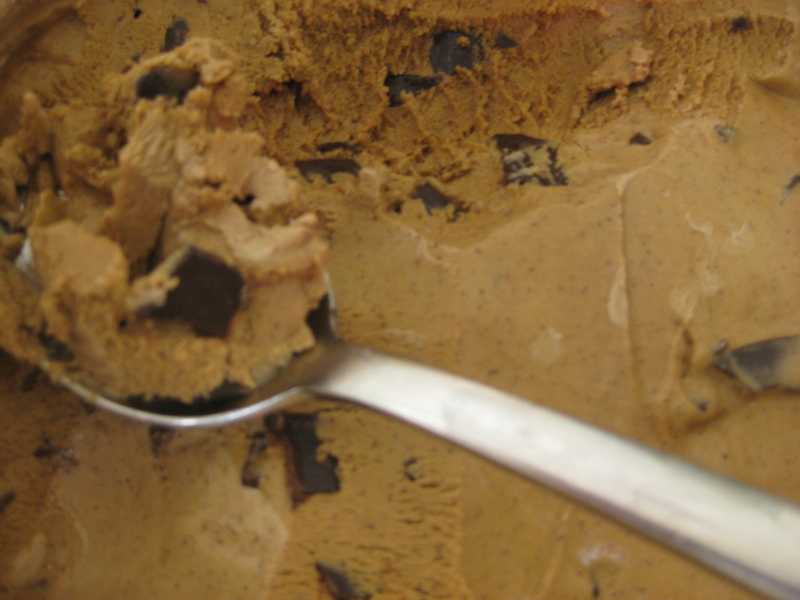 One delicious cappuccino chip ice cream, coming right up! The Verdict: Tastes just like a cappuccino! Success. The chips are a must for this flavor. Next time, I might cut the cinnamon a bit, especially because The Husband complained that it was too cinnamon-ey. Otherwise, it was really creamy and lasted quite well in the refrigerator. A real treat. A must eat. Grab a spoon and dig in! I’ve never had Cappuccino Ice Cream that tasted so much like Cappuccino, WELL DONE 365 Scoops!